On sale now! This vehicle was originally listed at $31180. We've marked it down to $28280. You save $2900. 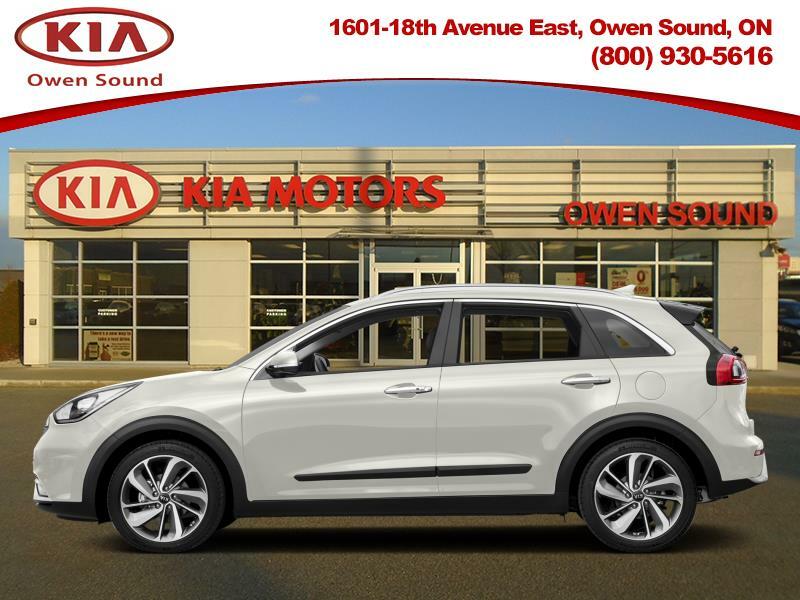 This 2018 Kia Niro is for sale today in Owen Sound. Life isn't one size fits all. That's why the 2018 Niro gives you an incredible amount of storage space and multiple configurations to fit everything you need. Smooth and reliable performance is delivered through Kia's parallel hybrid system that pairs an energy-dense 1.56 kWh lithium-ion battery, a lightweight electric motor and the Niro's new 1.6L GDI engine for a combined 195 lb-ft of torque! Complementing the smart technology are sophisticated European design choices, like clean lines crafted to minimize drag and overall appeal.This SUV has 33467 kms. It's snow white prl* in colour. It has an automatic transmission and is powered by a 139HP 1.6L 4 Cylinder Engine. This vehicle has been upgraded with the following features: Leather Seats. It has some remaining factory warranty for added peace of mind. Our Niro's trim level is EX Premium. The EX Premium is where the Niro gets extra pampering and enjoyable for its occupants. While including all the options from the precious trims, the EX Premium Niro also has options such as a power sunroof, power front seats with memory, blind spot detection and rear cross traffic alert, accentuating the safety aspect of this excellent Crossover. Buy this vehicle now for the lowest bi-weekly payment of $184.31 with $0 down for 84 months @ 5.00% APR O.A.C. ( Plus applicable taxes - *Financing and term to be certified by Dealership (DEMONSTRATION ONLY) ). See dealer for details.